Stockholm, Sweden – A new study from the FINGER trial team shows that participants with shorter leukocyte telomere length (LTL) had more pronounced benefits on cognition following the multidomain lifestyle intervention. The results of this study are published in the Journal of Alzheimer’s Disease. “These findings are very promising, as individuals with shorter telomeres may represent an at-risk group”, says Dr. Shireen Sindi, lead author of the study based at Karolinska Institute (Sweden) and Imperial College London (UK). “This suggests to us that participants with shorter LTL had more room for lifestyle improvements when they entered the study”, says Dr. Sindi. Adjusting for lifestyle however did not attenuate the observed findings. Considering that shorter LTL has been associated with poor cognitive performance and dementia, “it is very encouraging that the multidomain lifestyle intervention was especially beneficial among individuals with higher risk” commented the authors. In the absence of disease-modifying drugs for dementia and Alzheimer’s disease, preventive initiatives have recently gained much attention as a promising intervention approach. When telomere length is shortened, their capacities to protect DNA are compromised. LTL is considered a biomarker of aging and aging-related diseases, representing cells’ ‘biological age’ rather than ‘chronological age’. LTL is also associated with cognition, and patients with Alzheimer’s disease have shorter LTL. These same associations may be found among individuals with mild cognitive impairment. The Principal Investigator Professor Miia Kivipelto is affiliated to Karolinska Institute (Sweden), The University of Eastern Finland, the National Institute for Health and Welfare (Finland) and Imperial College London (UK). 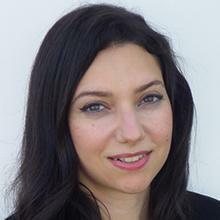 The current study’s last author Associate Professor Alina Solomon is affiliated to the University of Eastern Finland and Karolinska Institute. Funding sources included Fonds de la recherche en santé du Québec (FRSQ), the Alzheimer’s Research & Prevention Foundation, Academy of Finland, ALF grants, the Swedish Research Council, Alzheimerfonden, Center for Innovative Medicine (CIMED) at Karolinska Institute South Campus, AXA Research Fund, Knut and Alice Wallenberg Foundation, Stiftelsen Stockholms sjukhem, and Konung Gustaf V:s och Drottning Victorias Frimurarstiftelse. Full study: Sindi S, Ngandu T, Hovatta I, Kåreholt I, Antikainen R, Hänninen T, Levälahti E, Laatikainen T, Lindström J, Paajanen T, Peltonen M, Khalsa DS, Wolozin B, Strandberg T, Tuomilehto J, Soininen H, Kivipelto M, & Solomon A; FINGER study group (2017) Baseline Telomere Length and Effects of a Multidomain Lifestyle Intervention on Cognition: The FINGER Randomized Controlled Trial, J Alzheimers Dis, 59, 1459–1470 (doi: 10.3233/JAD-170123). The Journal of Alzheimer’s Disease (http://www.j-alz.com) is an international multidisciplinary journal to facilitate progress in understanding the etiology, pathogenesis, epidemiology, genetics, behavior, treatment and psychology of Alzheimer’s disease. The journal publishes research reports, reviews, short communications, book reviews, and letters-to-the-editor. Groundbreaking research that has appeared in the journal includes novel therapeutic targets, mechanisms of disease and clinical trial outcomes. The Journal of Alzheimer’s Disease has an Impact Factor of 3.731 according to 2016 Journal Citation Reports® released by Clarivate Analytics. The journal is published by IOS Press (www.iospress.com).